MONTREAL, April 3, 2014 — Today’s live production environments require a growing range of technologies for all production-related processes. As live production becomes more complex, broadcasters and content creators are continually turning to new tools that enable them to do more with less. 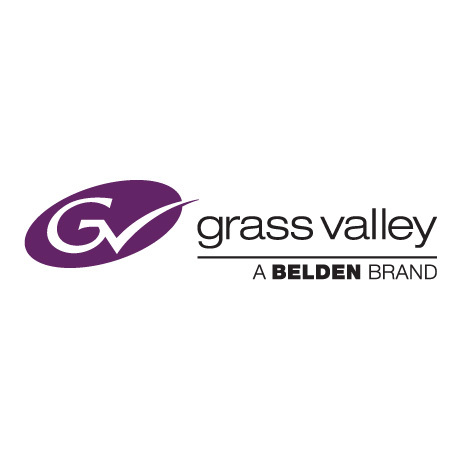 To address these needs, Grass Valley, a Belden brand, today announced the next generation of its GV Director Integrated Nonlinear Live Production System that includes enhanced real-time streaming to reach a broader audience, second operator assist for an improved workflow, and enhanced real-time data feeds and graphics support, which allows operators to add new and changing content at increased speeds during live productions. GV Director’s enhanced real-time data feed will now support additional third-party data feeds that simplify and automate graphics creation during a live production. The second operator assist feature adds value to live production workflows with graphic creation, implementing innovative production elements, or interacting with third-party real-time data feeds, all from a single, rich, and intuitive interface—delivered through an integrated and lightweight version of GV STRATUS Nonlinear Media Production tools. GV Director can also now stream content in real-time, reaching a broader audience and avoiding the need for downstream conversion. These new features provide more operational flexibility to further unleash operator creativity. An innovative solution with a highly advanced touch interface that inspires unconstrained creativity, GV Director packs the power of functional complexity of video switching, multi-layer effects, animated graphics, multiviewer monitoring and more, all from a single, intuitive, and highly creative system. Purposely designed for both creative and technical operators, it empowers the creative abilities of the user to enhance each production. GV Director can also be teamed up with GV STRATUS to add ingest, logging, content management, NLE integration, and router control. GV Director is a software-centric, scalable solution that leverages the cost and performance of commodity IT components—providing unlimited M/E buses, keyers, 2D/3D graphics, localized clip storage, and the ability to handle baseband and file-based sources.